Kimchi is the pungent fermented condiment that is ubiquitous in Korean cuisine. Many ingredients find their way into the traditional Korean kimchi pot, from fiery chile peppers to raw fish (yes, you read that last ingredient correctly). 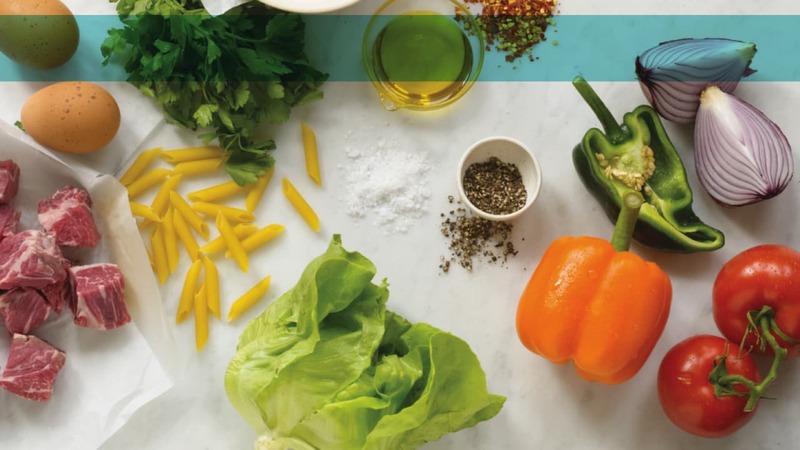 Recipes vary from family to family. What is consistent is that kimchi is fermented in very much the same way as sauerkraut, and like sauerkraut is made mostly out of cabbage but with the addition of a few radishes and lots of seasonings. In this recipe I&apos;ve reversed the usual ratio of cabbage to radishes for a crunchier kimchi. I also suggest that instead of the traditional white daikon radish you use red-skinned cherry belles or pink-fleshed watermelon radishes for a more colorful result. 1. Combine the filtered or non-chlorinated water with the salt and stir to dissolve. Stir in the soy sauce or the nam pla. 2. Wash the radishes. 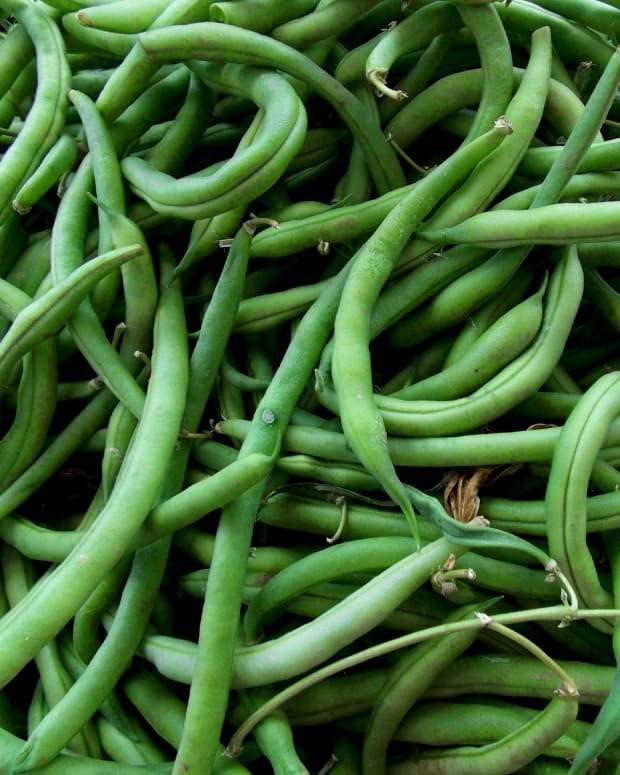 Slice off and compost or discard the root and stem ends. 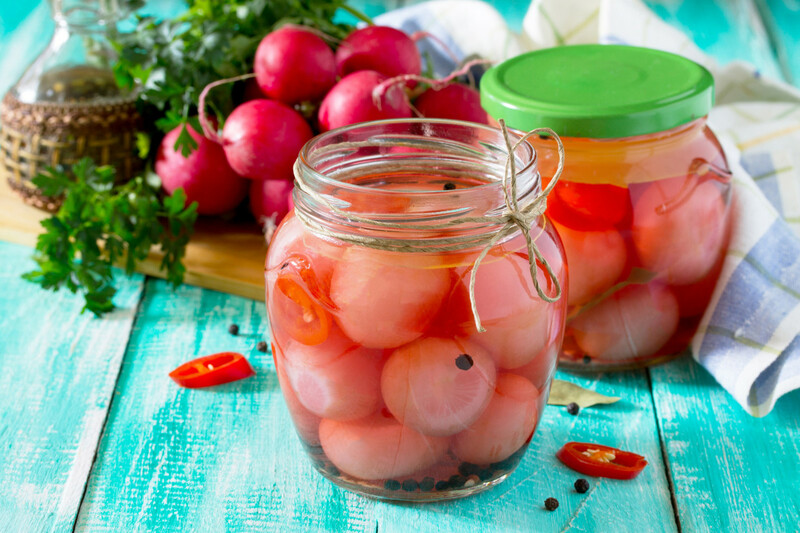 Peel large radishes such as watermelon or daikon, but leave red-skinned radishes unpeeled. Slice the radishes into 1/8-inch disks, or julienne them into matchstick sized slivers. 3. Put the radishes, cabbage, onion, garlic, ginger, and chile peppers or red pepper flakes in a large bowl and toss to combine them well. 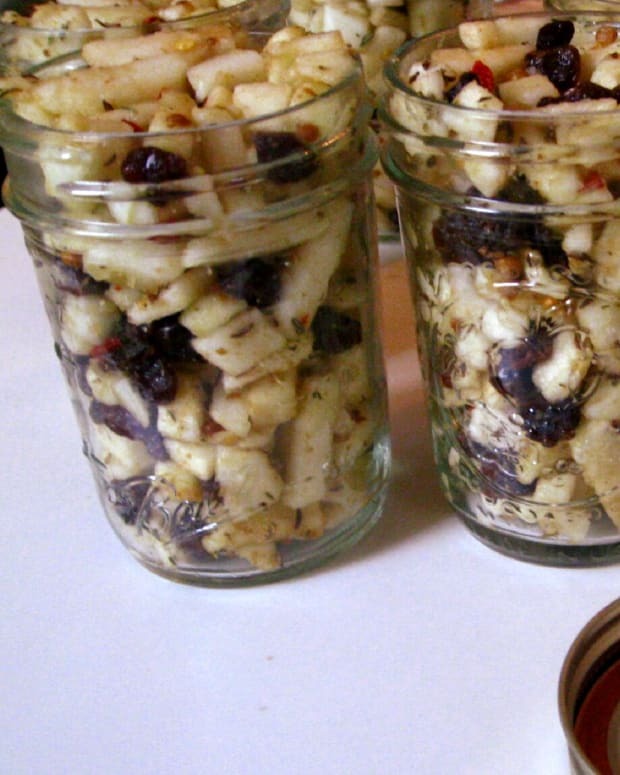 Firmly pack the vegetables and spices into a clean glass pint jar, leaving about 1/4-inch head space. 4. Pour the brine over the food in the jar. Use your clean fingers or the back of a spoon to press down on the food and release any air bubbles. The brine should completely cover the vegetables and spices. 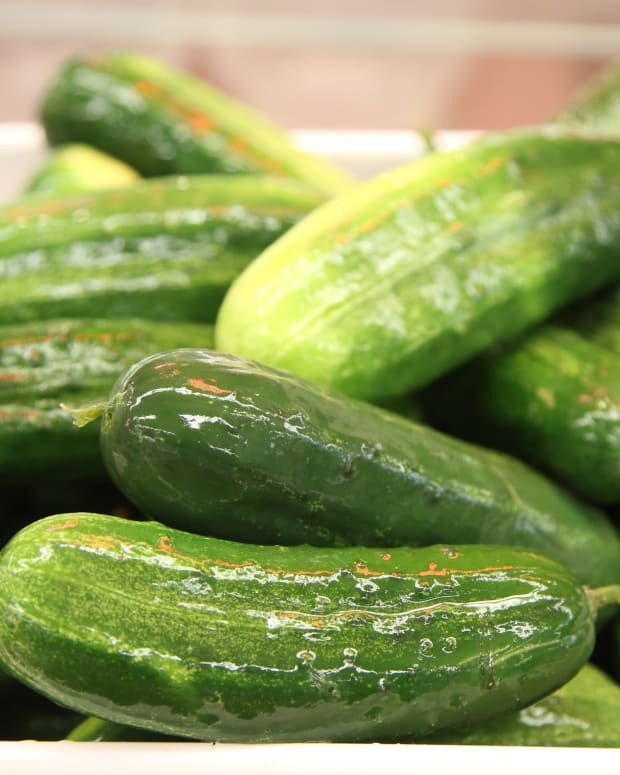 If the food starts to float up out of the brine, you can hold it down by tucking a piece of a large edible leaf such as cabbage or chard on top of the vegetables. Or you can simply fill the jar all the way to the rim, leaving no head space at all, and then put a lid loosely on top of the jar. The lid itself will hold the food under the brine. But don't screw the lid on tightly because you want the gases that develop during fermentation to be able to escape. Set the jar on a small plate because it will probably overflow a bit once fermentation kicks in. 5. Leave the kimchi out at room temperature for 2 to 3 days. Every day, take the lid or smaller bottle-weight off and look for signs of fermentation such as bubbles on the surface. You'll see these especially if you press gently on the food. 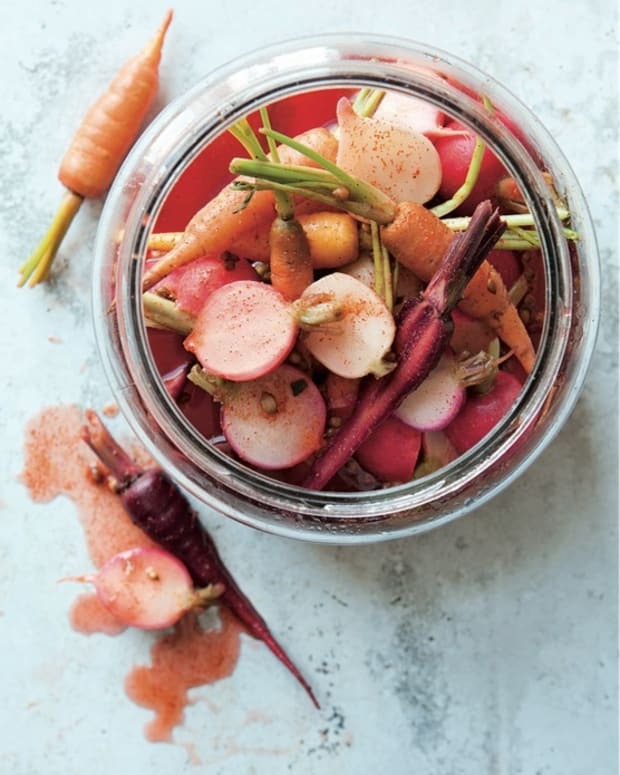 But don't just look for signs of fermentation: also get close with your nose and sniff for that clean but tangy pickled smell that means the safe, tasty, and healthy transformation you're after is happening. Because this is kimchi, the sour smell will also have the intense scent of the garlic and other seasonings. 6. When the kimchi has shown clear signs of fermenting for at least one day, transfer it to the refrigerator. 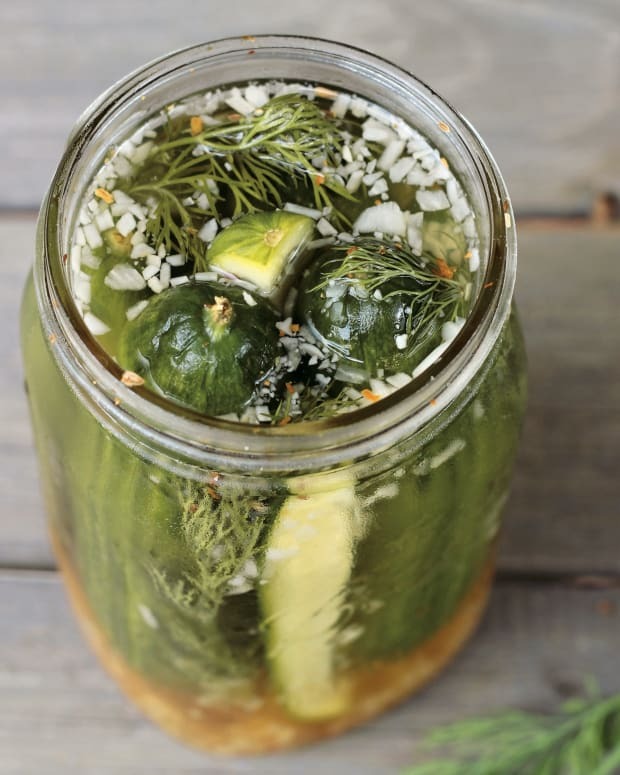 You won't need the plate under the jar any longer because the cold storage temperature will slow down fermentation so much that there shouldn't be any overflow. Your kimchi will be ready to eat 1 to 2 weeks after you start it, and will keep for at least a year (but remember that its taste will keep getting stronger as the months pass!). 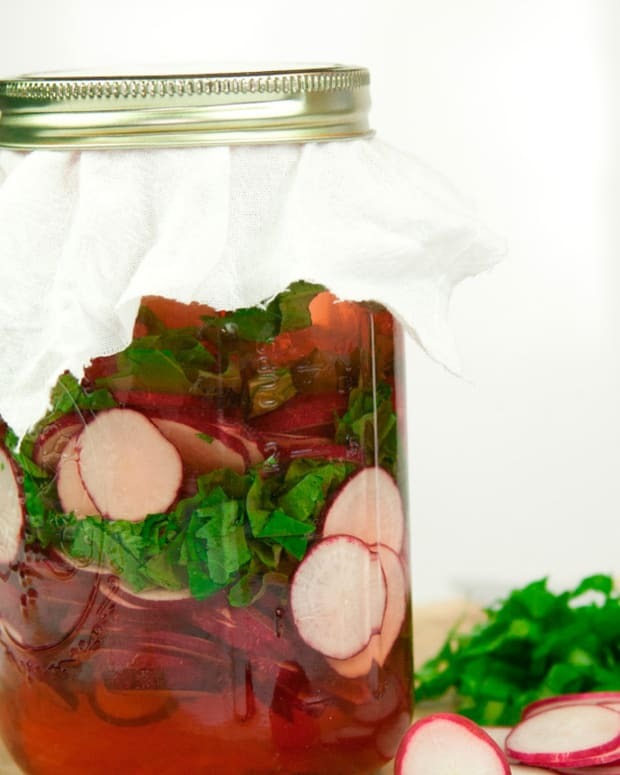 Variation: Replace the radishes in the recipe with slivers of carrots or turnips.